This small minion has suffered a serious accident but thank God it is not serious enough and it can not be cured after a good doctor session. 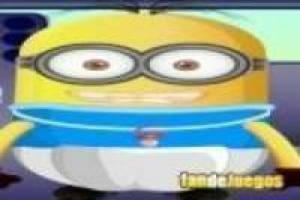 You will be in charge of curing the baby minion and for this we will put at your disposal a large amount of medical tools to cure all wounds and conditions that the baby presents. When you touch a new element it will appear for you to use, this will make your work easier and you will be able to perfectly fulfill your mission. Carefully take care of the baby minion, get him not to cry too much and leave the clinic happy. 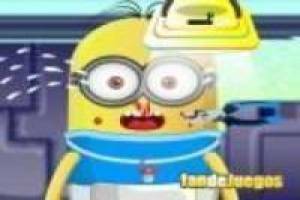 It' s time to test your medical skills by healing the baby minion. 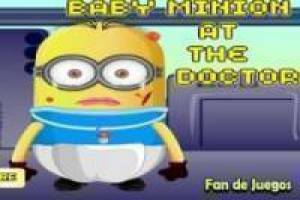 Enjoy the game Baby Minion at the doctor urgently, it's free, it's one of our minions games we've selected.